Indie rock band Cari Cari plays eclectic music you're bound to fall in love with. We talked to the talented twosome about their beginnings, their musical inspirations, and what's next. Between the emo­tion­al lyrics, the acoustic gui­tar, and the whis­pery voic­es of drummer/​singer Stephanie Wid­mer and guitarist/​singer Alexan­der Köck — it’s hard not to drift off into the ambi­ent indie rock tunes of Cari Cari (@CariCariMusic). 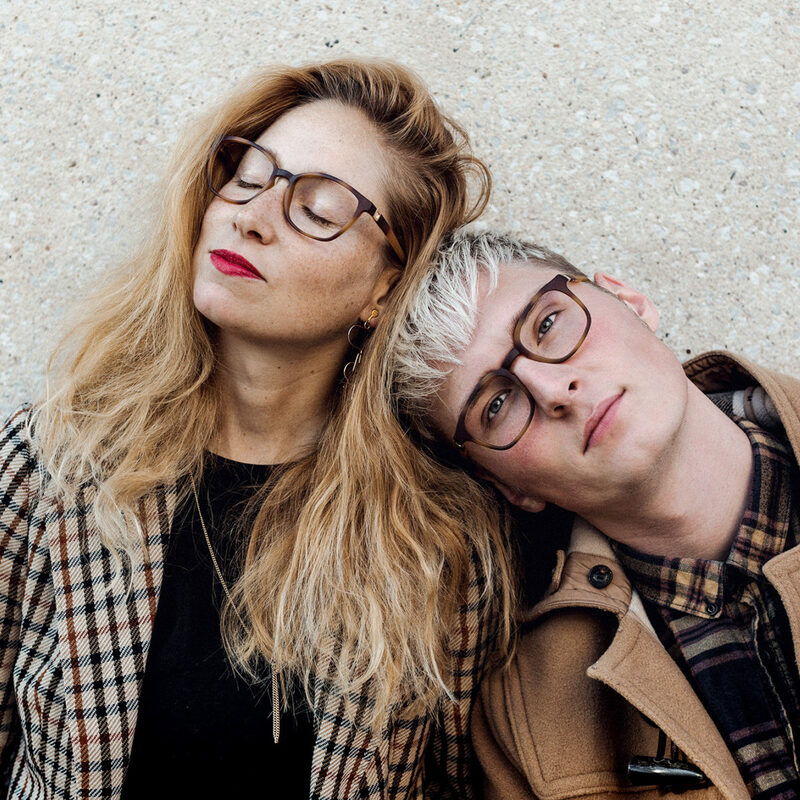 Hav­ing recent­ly released their first full-length album Anaana this past Novem­ber, we talked to the duo about their friend­ship, life, music, and of course — their career. Stephanie and Alex, how did you two meet and decide to make music togeth­er? S: We actu­al­ly met through music! Alex was already in a band, and I was work­ing on a singer-song­writer solo project. We played a gig togeth­er and got along very well straight away. A: Steph’s voice blew my mind when I first heard it, so I offered to help her record a few songs in my base­ment stu­dio. At some point she decid­ed to start play­ing drums, and I think that’s when we became a band. We record­ed AMERIP­PIN­DUN­KLER, our debut EP, which made a lot of noise in the blo­gos­phere. Five months lat­er, we kicked off our Aus­tralia tour in Dar­win, North­ern Territory. What’s it like work­ing and con­stant­ly trav­el­ing togeth­er? How do you nav­i­gate the chal­lenges that come with this dynamic? A: The most impor­tant skill — know­ing when to take a step back and admit you’ve been an idiot. S: Exact­ly! Ego is the biggest prob­lem when being togeth­er all the time. Things are bound to go wrong… Some­times you’re tired, hun­gry, and/​or pissed off — of course there will be fights. As long as you can admit that you were wrong, every­thing will turn out just fine. A: Most of the time we make up after we’ve had dinner. S: Yes! Nev­er under­es­ti­mate being hangry! A: Anoth­er issue? Stay­ing on the same page. Luck­i­ly we agree 99% of the time, but it can be very exhaust­ing to work togeth­er if you con­stant­ly dis­agree. For us, it’s impor­tant to dis­cuss the seem­ing­ly insignif­i­cant details. It’s all fine and good to syn­chro­nize on the gen­er­al vision, but it’s the tiny details that can cause the biggest problems. You’re steadi­ly gain­ing glob­al trac­tion. Where would you love to play some day? A: Cen­tral and South Amer­i­ca — the crowds there are crazy! They dance, they mosh, and they sing along to every song. There are videos on YouTube where they even sing along with the gui­tar solos. It seems incredible. S: We’ve actu­al­ly had requests from Mex­i­co, Argenti­na, and Hon­duras, so we’ll see. It would be an amaz­ing adventure! Con­grat­u­la­tions on being fea­tured on the sound­track for the Amer­i­can TV series Shame­less! In a per­fect world, what would be your next pop cul­ture integration? A: Leg­end has it that we only found­ed Cari Cari to be fea­tured on a Quentin Taran­ti­no movie sound­track, so I’ll go with that! S: Once Upon A Time in Hol­ly­wood will be out next year — maybe there’s still time to bring this to fruition! Let’s rewind — which albums did you lis­ten to on repeat when you were a teenager? S: I real­ly loved Norah Jones back then — I still do. I just love her voice. She is very inspir­ing as a singer — and as a per­son. I actu­al­ly got into a lot of the music I lis­ten to now through her. A: I was real­ly into ​‘80s Bay Area thrash met­al. I lis­tened to Slay­er and Megadeth all day long. My absolute favorite album at the time was Peace Sells… but Who’s Buy­ing! And which artists and albums do you have on repeat today? A: Some of my cur­rent favorites are: Fly­ing Micro­ton­al Banana by King Giz­zard And The Lizard Wiz­ard, A Deep­er Under­stand­ing by The War On Drugs, and a lot of clas­sic tunes from Bob Dylan and Pink Floyd. One of my all-time favorite albums is Cross by Justice. S: I lis­ten to The Shirelles a lot late­ly. I love great female singers like Aretha Franklin. What’s on the har­mo­nious hori­zon for the future? S: We want to con­tin­ue doing what we do right now, because we’re hap­py. We love mak­ing music and the life that comes along with it. A: We get a lot of mes­sages from peo­ple that are real­ly moved by our music, and it’s very reward­ing. Also, Bob Dylan once said, ​“A man is a suc­cess if he gets up in the morn­ing and goes to bed at night and in between he does what he wants to do.” Thank­ful­ly I do what I want every­day and for that — I am very grateful.